Cardi B just hit a major milestone in her career. The I Like It rapper landed her first Las Vegas residency and it kicks off this spring. The rapper is following in the footsteps of Lady Gaga, Gwen Stefani, Jennifer Lopez and Britney Spears who all have or had successful residencies in Sin City. 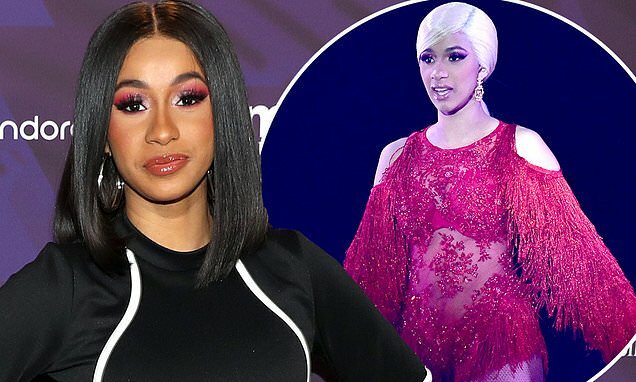 Cardi's star seems to only be getting brighter in 2019. In addition to her newly announced gig at the Palms, she's performing Super Bowl weekend as part of the Bud Light Super Bowl Music Fest and is expected to have a cameo in Pepsi's annual commercial during the big game. Later in February, the hip hop maven will perform at the Grammy Awards where she is a five-time nominee including Record of the Year and Album of the Year. Joining Cardi in Las Vegas will be Above and Beyond, G-EAZY, Kaskade and Skrillex who will also have exclusive residencies at the KAOS complex. Cardi has found herself in the center of headlines recently and not for her record breaking or charttopping hits.